266 pages | 4 B/W Illus. Is the Germanic god Wotan (Odin) really an archaic archetype of the Spirit? Was the Third Reich at first a collective individuation process? After Friedrich Nietzsche heralded the "death of God," might the divine have been reborn as a collective form of self-redemption on German soil and in the Germanic soul? 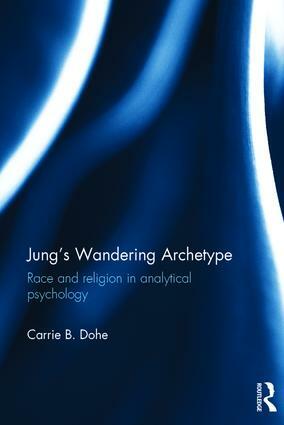 In Jung’s Wandering Archetype Carrie Dohe presents a study of Jung’s writings on Germanic psychology from 1912 onwards, exploring the links between his views on religion and race and providing his perspective on the answers to these questions. Dohe demonstrates how Jung’s view of Wotan as an archetype of the collective Germanic psyche was created from a combination of an ancient discourse on the Germanic barbarian and modern theories of primitive religion, and how he further employed völkisch ideology and various colonialist discourses to contrast hypothesized Germanic, Jewish and ‘primitive’ psychologies. He saw Germanic psychology as dangerous yet vital, promising rebirth and rejuvenation, and compared Wotan to the Pentecostal Spirit, suggesting that the Germanic psyche contained the necessary tension to birth a new collective psycho-spiritual attitude. In racializing his religiously-inflected psychological theory, Jung combined religious and scientific discourses in a particularly seductive way, masterfully weaving together the objective language of science with the eternal language of myth. Dohe concludes the book by examining the use of these ideas in modern Germanic religion, in which members claim that religion is a matter of race. This in-depth study of Jung’s views on psychology, race and spirituality will be fascinating reading for all academics and students of Jungian and post-Jungian studies, religious studies and the history of religion. Carrie B. Dohe was a guest researcher at the University of Marburg’s Department of Religious Studies from 2010 to 2015, investigating how people use discourse about the divine to justify their social and political claims. Her current research looks at religiously-motivated environmentalist movements in Germany.